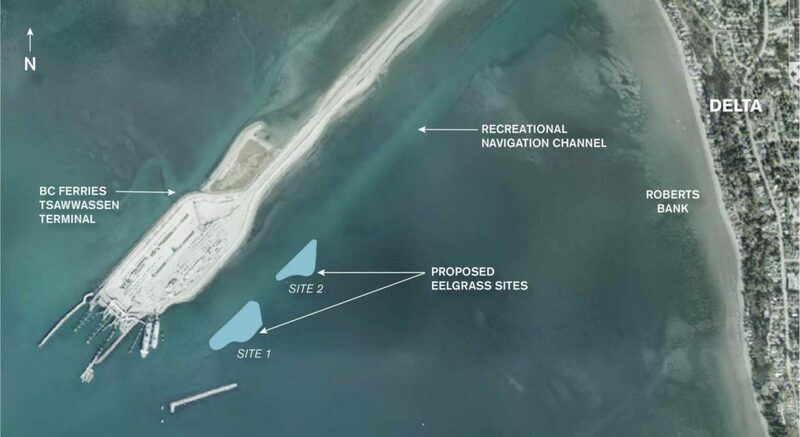 The proposed Tsawwassen Eelgrass Project is currently in the permitting and approvals stage. Following the completion of a regulatory review of the project, the earliest project work could start, pending final access and approvals, is summer 2020 or summer 2021. The project team is engaging and will continue to engage Aboriginal groups, stakeholders and regulators, and will notify the public of project updates, as appropriate. The proposed project may change based on further consultation and technical input. Eelgrass meadows at Roberts Bank near Delta, British Columbia. The proposed Tsawwassen Eelgrass Project consists of two sites located south of the Tsawwassen Ferry Terminal near Delta, British Columbia. The subtidal (below water) sites are bordered to the north by a recreational boating channel and are surrounded by eelgrass meadows to the south and east. The sites currently consist of subtidal depressions which were likely created as a result of maintenance activities in the adjacent recreational boating channel. These depressions are too deep to be naturally colonized by eelgrass. The proposed project would result in the conversion of lower-value subtidal areas into higher value eelgrass habitat. The total area of habitat enhancement is approximately four hectares. Creation of these eelgrass beds would be accomplished by constructing rock containment berms followed by the placement of suitable substrate material and transplanting of eelgrass. The proposed sites were selected for eelgrass restoration because of their current relatively low habitat values. 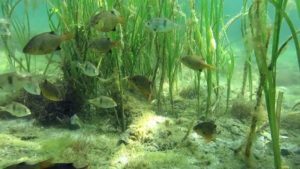 Consistent with the broader understanding of eelgrass habitats in the Pacific Northwest, local studies suggest that fish communities within eelgrass habitats are more diverse and abundant than fish communities within areas devoid of eelgrass. 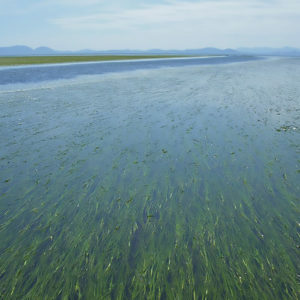 Eelgrass provides important habitat for fish and wildlife. The rock containment berms proposed for construction of the eelgrass beds also provide attachment sites for various kelp species, which would contribute to an increase in the diversity of fish and wildlife at the project sites.